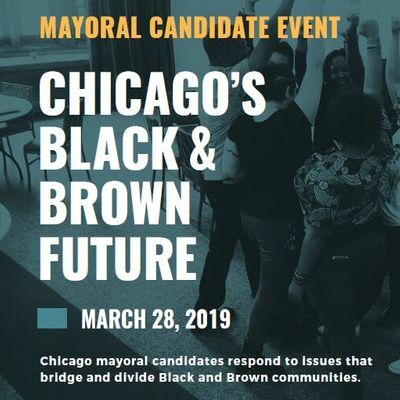 Where do Lori Lightfoot and Toni Preckwinkle stand on issues affecting African American and Latino communities? 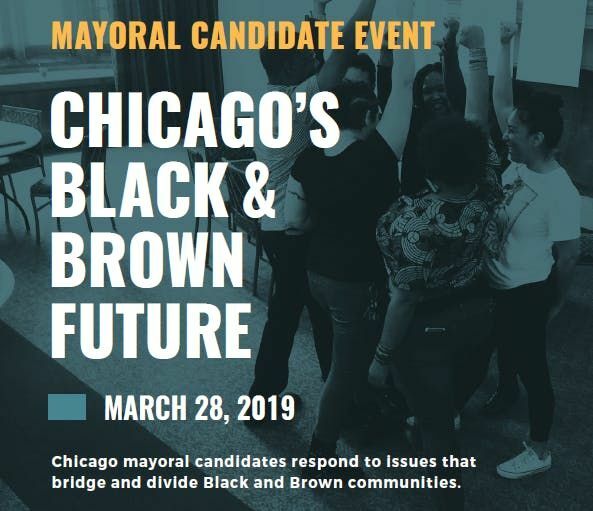 The Latino Policy Forum and the Chicago Black Partners Alliance, in conjunction with Hoy Chicago, WBEZ, the Hispanic Lawyers Association of Illinois, Ice Miller LLP, Mayer Brown LLP, and Foley & Lardner LLP would like to invite you to attend a conversation with the 2019 Chicago mayoral run-off candidates. The event will be co-moderated by WBEZ’s Natalie Moore and Hoy’s Laura Rodriguez. Admission is free, but space is limited. Light refreshments will be provided. Building is wheelchair accessible, Spanish language translation and ASL interpretation will be available, and there is free parking provided.